Rationing means that you are limited in what you are allowed to purchase. It was used during World War II to ensure the troops had enough supplies while those at home could only buy limited quantities of butter, sugar, or gasoline. It may surprise you to learn that rationing takes place today in healthcare. Healthcare rationing is used by health insurers, the government, and individuals to save money. Some would even argue healthcare rationing supports the greater good. You may believe that if there is a treatment available, no matter what it costs, and no matter what chance there is for a positive outcome, it should be made available to you. You can get frustrated when you are told you can’t have it or you’ll have to pay extra for it. However, since funds are limited, then your options are limited, too, in a variety of ways. Sometimes people limit themselves. Suppose you develop a rash. You have two choices. The first is to go to the doctor, incurring a cost for the visit as well as for any prescription or tests he conducts. Or, you may choose an over-the-counter rash treatment, which is much less expensive. You also save the time, delay, and inconvenience of a doctor's appointment. If you choose the no-doctor-visit route, then you have self-rationed your care and saved money, at least in the short term. You run the risk that your condition is not fully diagnosed and may not be appropriately treated, incurring higher costs in the long term than going to the doctor. Health insurers ration care, but they don't call it rationing, and they don't even want you to realize that it is rationing. This is referred to as "covert rationing." When insurance companies ration care, it's a money-saving measure, in part for the greater good, but also to preserve profits or raise salaries or other reasons that their customers disdain. Some of their rationing does keep premiums from getting even higher, and also allows insurers to stay in business. Here are some of the ways they ration care. Health insurers ration your care by limiting the doctors you may visit because they negotiate fees with those doctors. They will only pay for you to visit the ones they have negotiated the lowest fees with. Health insurers ration care through co-pays, deductibles, and caps. In fact, what they are really doing is encouraging you to self-ration. Knowing that a certain amount of your care will have to be paid from your pocket, you may choose not to get the care or drug you need. Health insurers deny services or reimbursements for services. Denial of care is perhaps the most understood form of rationing because it causes outrage and frustration. What most patients don't understand is that this is also the aspect of rationing that is most affected by laws and regulations, too. In many cases, those denials may be based on science or evidence that a treatment won't work, doesn't work well enough, or is too new. Many patients get frustrated that insurance won't reimburse for an alternative treatment. What the insurer will tell you is that there isn't enough evidence to prove that treatment will work. Experimental, off-label drugs or new surgical approaches are too new to show enough evidence of success, so the insurance company will not reimburse for it. A doctor may recommend a treatment that is shown to only benefit a small percentage of the people who have used it (usually in very difficult medical cases), and may also be very expensive, so the insurance company will decide it's not worth the high cost for so small a probability of success. Remember, of course, the insurer isn't denying permission for the treatment. Rather, payment for the treatment is being denied. The patient can still participate in the treatment if she can pay for it herself. This is different in some countries where services are not allowed to​ be provided even if the patient is able to pay for them on her own. Even the government rations health care. The difference between the government's rationing and the rationing conducted by health insurers is that there is no profit motive. The government, through Medicare or state Medicaid or other programs, keeps costs lower as much as possible in order to keep taxes lower or to expand care to others, both considered to be the greater good. A good example of government rationing is Medicare’s donut hole. 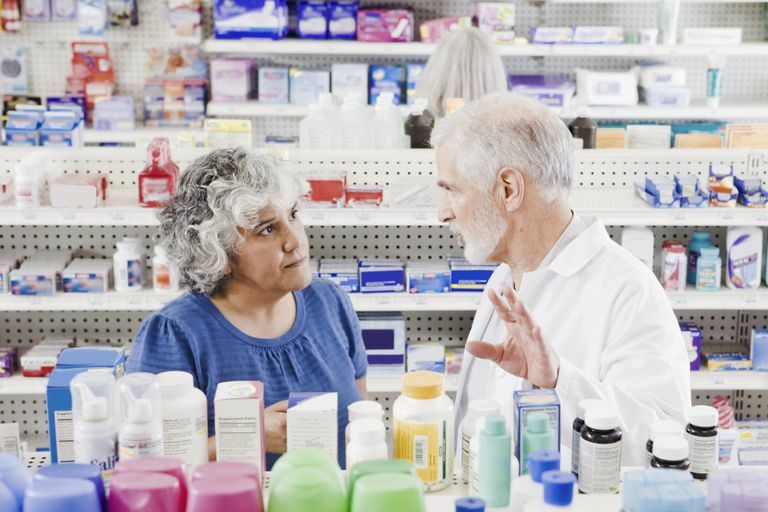 Seniors know they are limited in the amount they can spend on prescriptions because if they spend more, it comes from their own pockets. There are several reasons why understanding healthcare rationing will help you. Should you run into a denial of care, you'll know why it's been denied, and will better understand how to go about combating it, should you want to do so. Healthcare reform debate includes arguments on how payment should be handled; whether it should be done by both government and private payers, or whether the United States should move to a single-payer system. Some experts in healthcare rationing will tell you that private health insurer rationing means that the insurers are the ones determining who is getting what care. They cite the fact that which treatment you receive has more to do with whether or not your insurer gives permission than what you and your doctor think would be best. Private insurers argue that if the government takes over all cost coverage of all healthcare, then the government will make healthcare decisions for patients. Patients will have to decide for themselves how they feel about the bigger picture. But understanding today how rationing works will help them figure out how to get the care they need and want.